On this episode, the gang visits the town of Bedrock and dismantles capitalism! 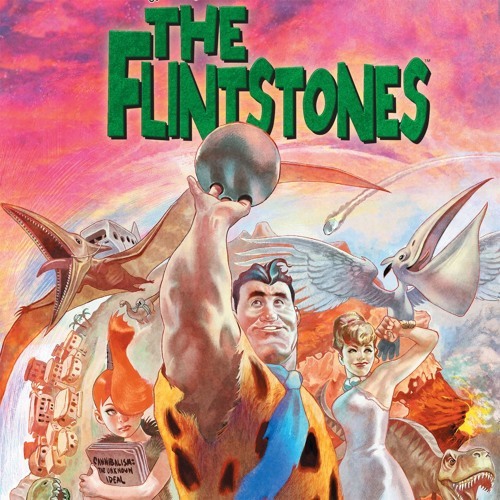 In this episode, we read the most talked about book from DC’s new Hanna-Barbera universe, The Flintstones! Watch as Fred, Wilma, Barney, Betty, Pebbles, and Bam-Bam dismantle capitalism, sexism, genocide, miltary propaganda, traditional marriage, consumerism, religion, and GALACTIC BREAK! Phil wonders if the cartoon Fred Flintstone was a Marxist. Sly hosts part one of the “Moranis Fact Corner.” Ryan’s always striving to be fair and balanced. Darryl is an Eggman apologist who loves robot animals.